WENATCHEE, WA (May 16, 2017) - In their fifth visit to Spokane Super Oval (SSO), Northwest Super Late Model Series, Inc., (NWSLMS) drivers will return to the high banked oval in Airway Heights, Washington for the Park Model Homes 125.
mile oval. 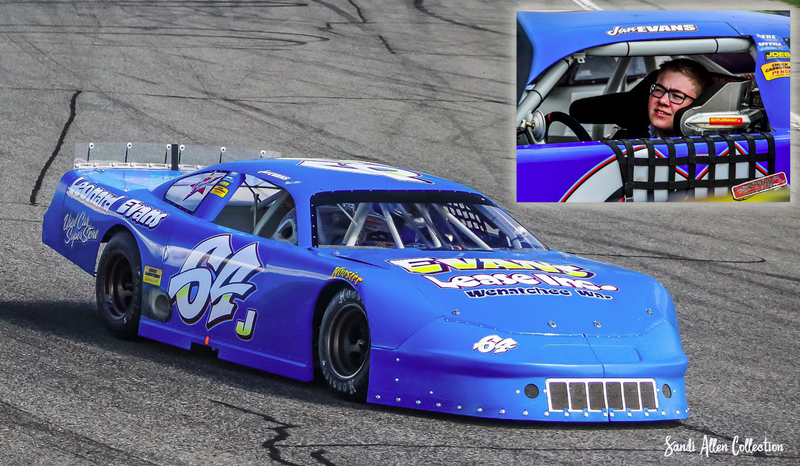 Jan finished 7th in a 24-car field in his super late model debut last month at Wenatchee Valley Super Oval. Gearing up for a shot at the top spot, Braeden Havens will be attempting to duplicate his win at SSO with the Rocky Mountain Challenge Series in 2015. Havens has a series win in last year’s Idaho 200, and took the final podium position last month at Wenatchee, after a great battle with Brittney Zamora. In addition to Beaman, Clint Habart, Jason O’Neal, Kameron McKeehan and Dirk Bennett will be joining the series for the first time in 2017. McKeehan is a former Inland Northwest Super Stock Association champion. After last week’s soggy K&N West race, track management has decided to give $10 off with last week’s ticket stub. Bring your K&N admission tickets to the gate with you.